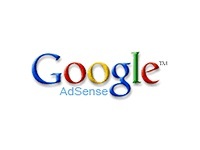 Adsense Channels enables you to view detailed reporting about the performance of specific pages and ad units. By assigning a channel to a combination of pages or ad units, you could track the performance of a leaderboard versus a banner, or compare your motorcycle pages to your automobile pages. You can create a channel to track each of your separate domains, so you can see where your clicks are coming from. While channels can be used to track performance and revenue, they won’t have any effect on your earnings or ad targeting. There are two types of channels from which to choose: URL channels, and custom channels. Use URL Channels to track your performance without modifying your ad code. By entering a full or partial URL, you can begin tracking the performance of particular pages in your site. You can enter a top-level domain name to track all of the pages on that domain, or you can enter a partial URL to track all of the pages below a certain directory. Entering a full URL will track the performance of that particular page. How do I create URL channels? URL channels are easy to implement. There are no changes to your AdSense ad code, so you can create your channels from within your publisher account, and immediately begin tracking performance. You can use URL channels to track individual pages, or to track groups of pages based on the directory structure of your site. 2. Click the Channels link below the AdSense Setup tab. 4. Click Add new URL channel, and in the resulting text box, enter the URL that you would like to track. The new URL channel will begin tracking data almost immediately. URL channels are only available for AdSense for content pages. If you would like to track your AdSense for search performance, please use custom channels. Custom channels allow you to track the performance of specific ad units based on your specified criteria. By pasting channel-specific ad code into your pages, you can track a variety of metrics across a range of URLs. Use custom channels to track the performance of different ad formats, for example, or to compare different page topics to one another. How do I create custom channels? Before creating your custom channels, you may want to take some time to consider how channels can best be used on your site. Think about which metrics you would like to track – are you looking to compare performance of various ad layouts, or do you want to find out which groups of pages are generating the most clicks? When creating custom channels, we suggest that you use descriptive names for each channel, so that they are easily identifiable in your reports. Once you’ve decided how you’re going to use custom channels, there are two steps to creating them: first, the creation of the custom channel name; and second, adding the channel-specific code to your webpages. 4. On the resulting page, enter a name that will help you to identify this channel later. For example, carpages or blue_skyscrapers. You can also check the targeting checkbox to have this custom channel displayed to advertisers as a targetable ad placement. If you choose to do so, you’ll need to enter additional details. If not, simply continue to create a custom channel for tracking purposes only. 5. Click Add channel. Your new channel will be added to the Active Channels list. 1. 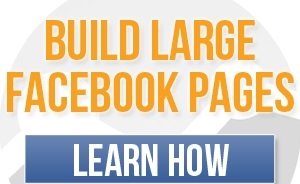 Click the AdSense Setup page and choose the appropriate product. After choosing your ad type, format, and colors, select up to five custom channels from the Channel list by clicking the add>> link. Then click Continue. 2. Copy-and-paste the ad layout code into your webpages. The channel identifier within your code will track performance on these pages. To track a page using a different custom channel, you’ll need to update the code on that page. You can also remove all channel tracking from a page by generating ad code that specifies No channel selection and replacing it on your pages. You can also turn any custom channel into an ad placement on which advertisers can choose to place their ads. With up to 200 AdSense channels, plus 200 AdSense for search channels available for each publisher, you can use channels to gain the insight you need to optimize your site’s performance. It’s easy to add, deactivate, or rename your channels, and customized reports are simple to generate. Tip: View our Optimizing with Channels guide for instructions and suggestions on using channels to track and improve performance. Hello, i have google adsense account for domain i4info and i added informations in url channel, can i post ads on that domain too?? ?